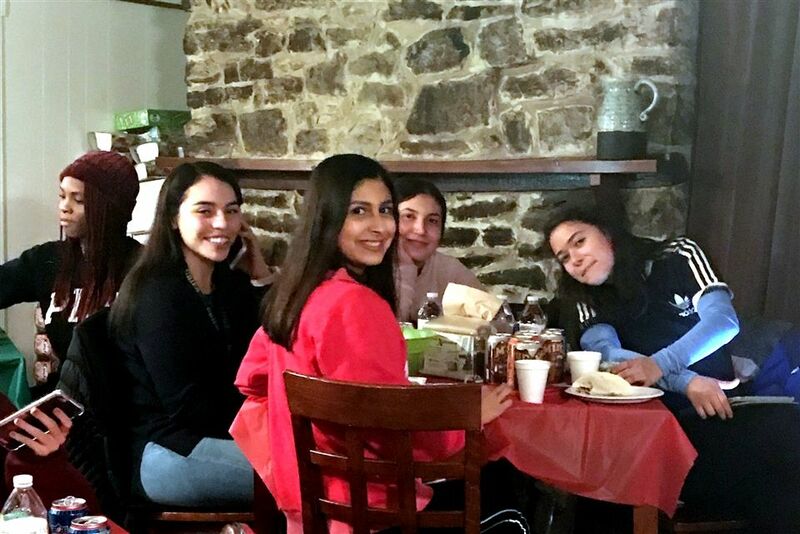 Grier School | Coffee Barn Superbowl Party! 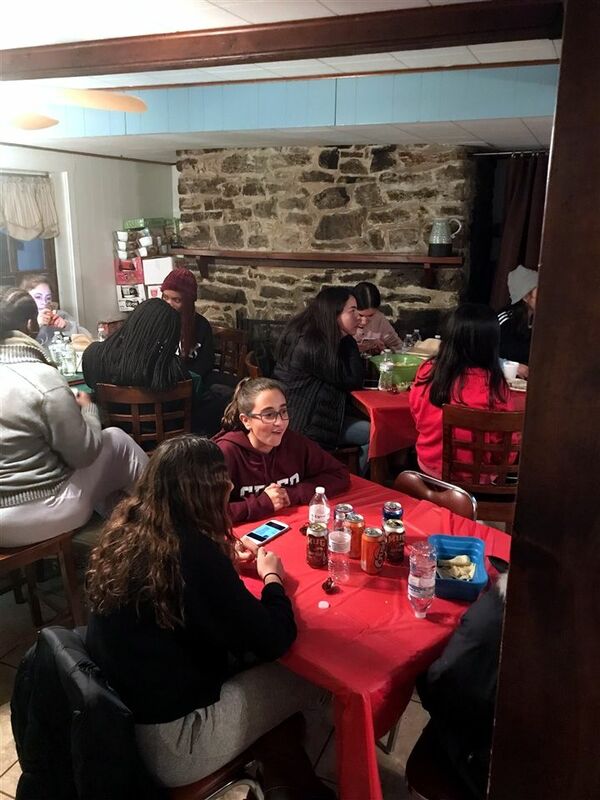 Students gathered at the Coffee Barn for a Superbowl viewing party organized by Activities Director Mrs. Holly Carper. 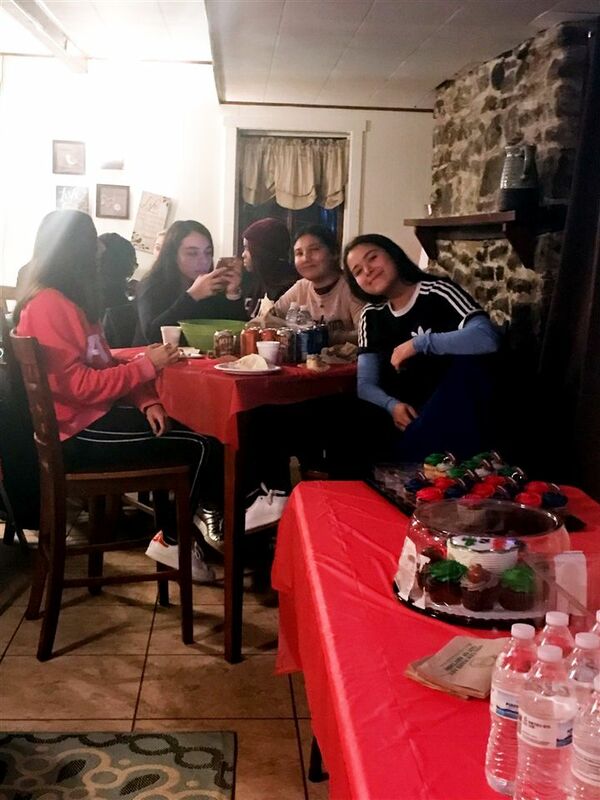 While they viewed the heated battle between the Philadelphia Eagles and the New England Patriots for the coveted NFL Championship and the Lombardi Trophy, Grier girls could enjoy and array of party snacks, including cupcakes in the signature colors of the rivaling teams. 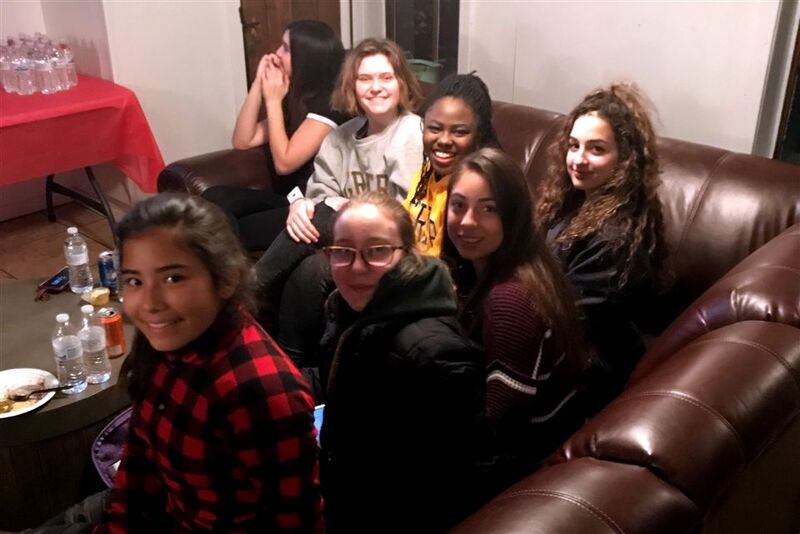 While many students focused on the football and cheering for their favorite teams, others enjoyed the musical performances by ﻿Hamilton's﻿ Leslie Odom Jr. who sang "America, the Beautiful," and by Pink who sang the National Anthem. Most everybody got into the half-time show that featured Justin Timberlake and a megamix of his most popular songs. Eagles fans enjoyed the big win, but watching the Superbowl surrounded by friends was the best part of the evening! Watching the Superbowl from the comfy Coffee Barn couches. Enjoying party snacks and drinks in the Coffee Barn. Superbowl Party in the Grier Coffee Barn. A table of treats and snacks for those who attended.